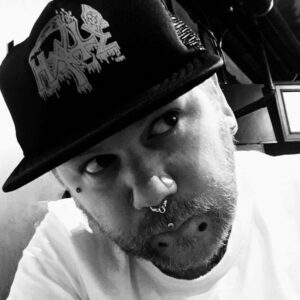 Cory is an Iowa native with over two decades of experience in body piercing. In 1992, he received his apprenticeship at Golden Sun Body Piercing, after the owners attended the bi-coastal Gauntlet Studios piercing seminars. From there he managed and owned studios in his home state, piercing thousands of people annually in the midwest. In 2010 he began traveling, often working studios in New York, Illinois, Wisconsin, Colorado, California, and Washington. Cory now brings those decades of experience to Evolve Seattle. Using only the best, safest, and highest grade of body jewelry, techniques, and care for his clients, you are assured to have a pleasurable and memorable piercing. Click on the images below to open up the photo gallery and see the photos in larger resolution.